Yesterday, I took a little break to stop and smell the roses. 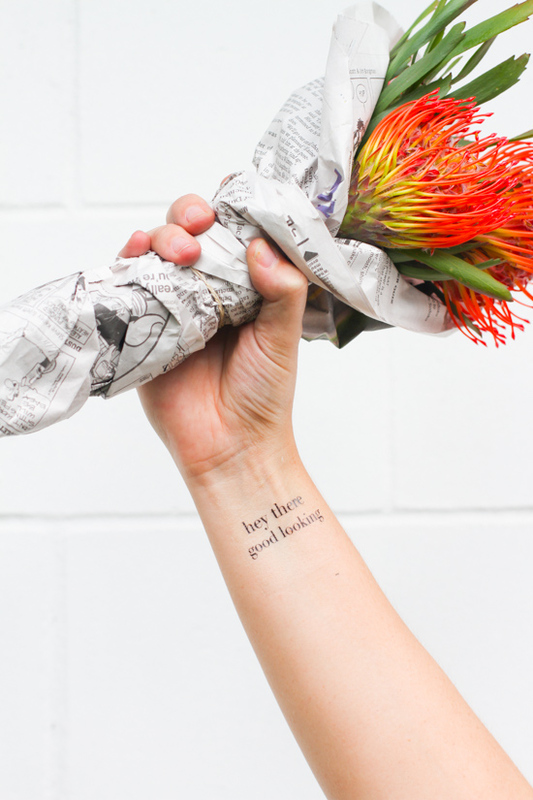 But today I’m back to share the quickest DIY bouquet you will ever make, along with the tote bags and temporary tattoos I recently designed with Makr. I used their new iPhone app that allows you to design tees, temporary tattoos, and tote bags on your phone – and then ships your designs right to your door. 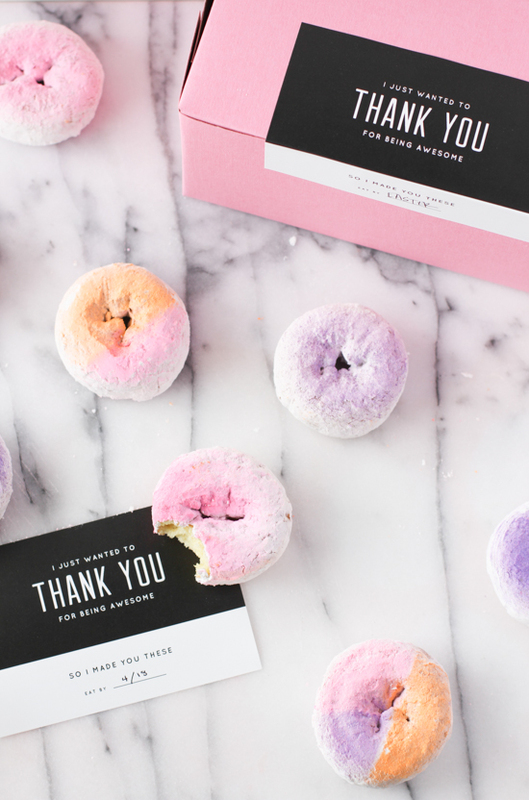 But first…the DIY! 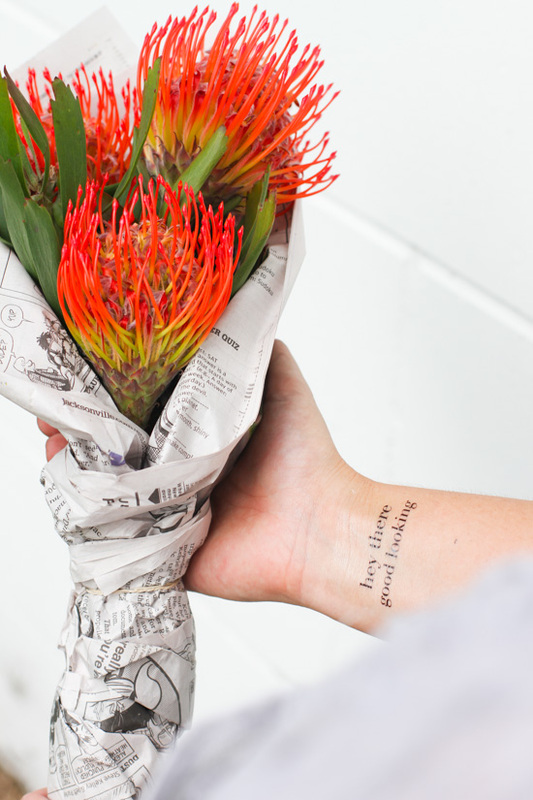 This protea bouquet takes all of 60 seconds to make. So, no matter how busy you are, I’m pretty sure you can handle this. AND it makes a great last minute gift idea too. To make your own you’ll need a single type of flower, that makes a statement. 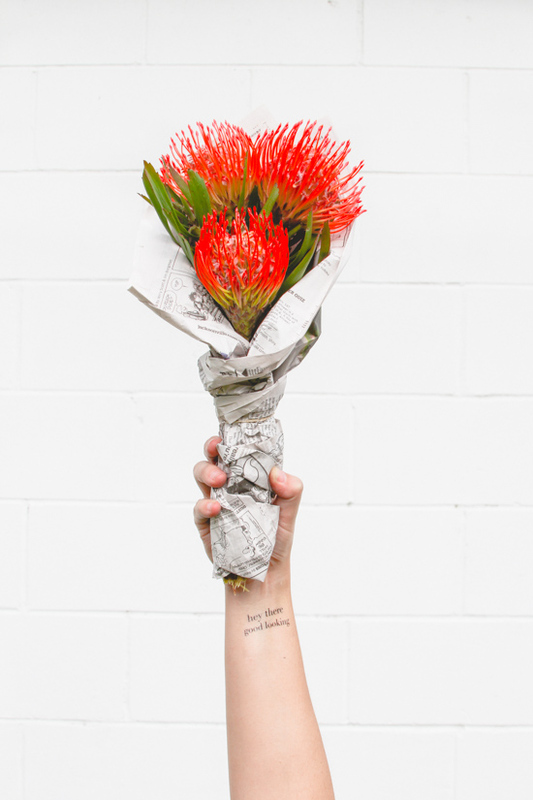 In this case, I used Pincushion Proteas, which are super cheerful and vibrant. But I also had Stock as a backup option, so you can really use any flower you want. You’ll also need a newspaper and a rubber band. 1. To make the bouquet, turn a sheet of newspaper to form a diagonal and rest the bouquet at the top of the point (as shown in the photo). 2. Then, fold under the bottom 1/3 of the newspaper, to create a flat edge at the bottom. 3. Wrap the two side points around the bouquet. Add a rubber band. Done. 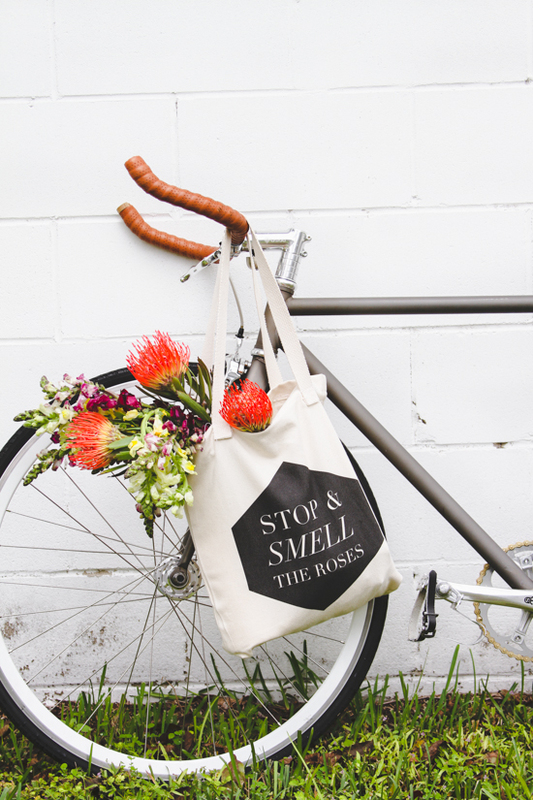 So now that you know how to make the quickest bouquet possible, it seems fitting to talk about the quickest (and easiest) way to design tote bags, t-shirts…and even temporary tattoos. With the Makr iPhone App. I designed this set of tote bags and temporary tattoos in under an hour and there are tons of interesting illustrations, typefaces, borders, and patterns that you can choose from to create your own as well. Or skip the templates and upload your own files, just as easily. 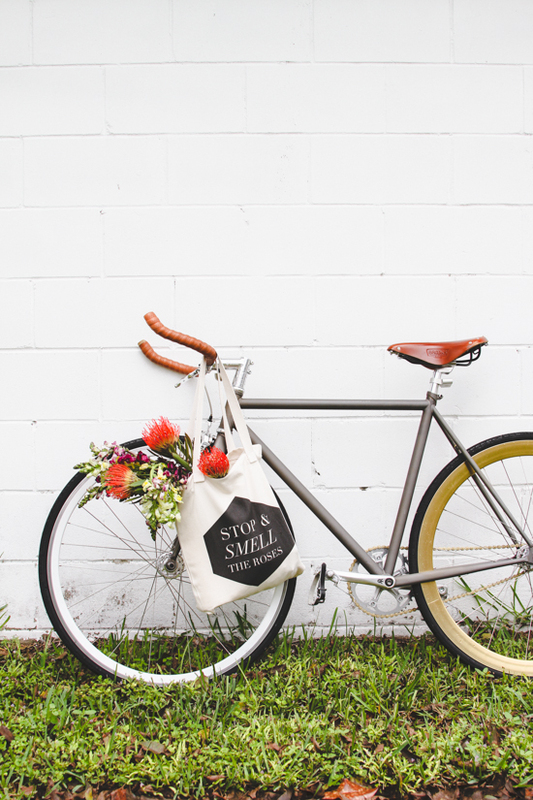 Plus your custom tee and tote creations can be made available for purchase in the Marketplace, to generate revenue for your designs. 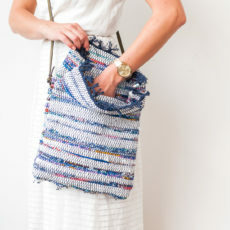 I recently added my designs to the Makr Marketplace and am curious to see how it goes. 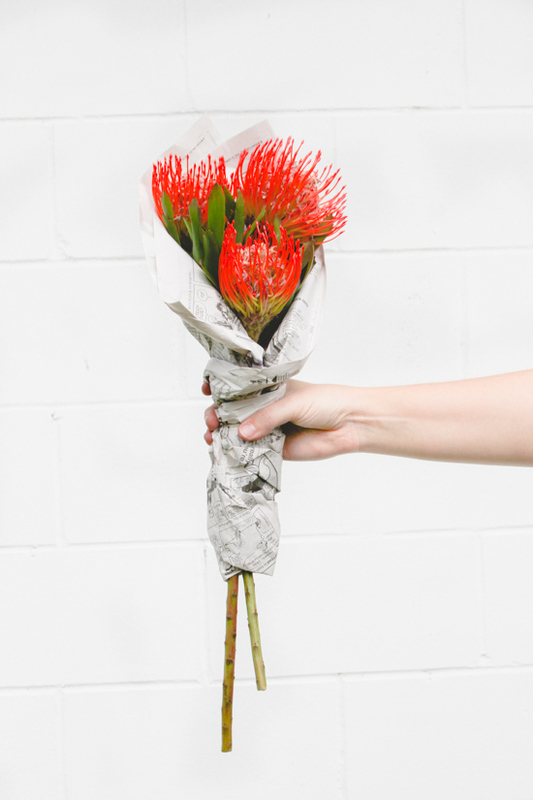 Think you’ll give this 60 second flower bouquet DIY a try? I love the newspaper idea! I sometimes use the newspaper to wrap gifts! It is pretty much to best and least expensive wrapping paper. Yep – least expensive and easiest. Love using newspaper for things like this. Colorful wrapping paper would be fun too, Sarah. For sure. This post has everything I love! 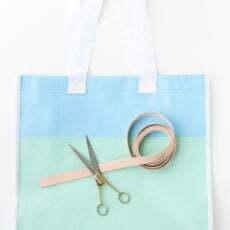 I absolutely adore those totes! 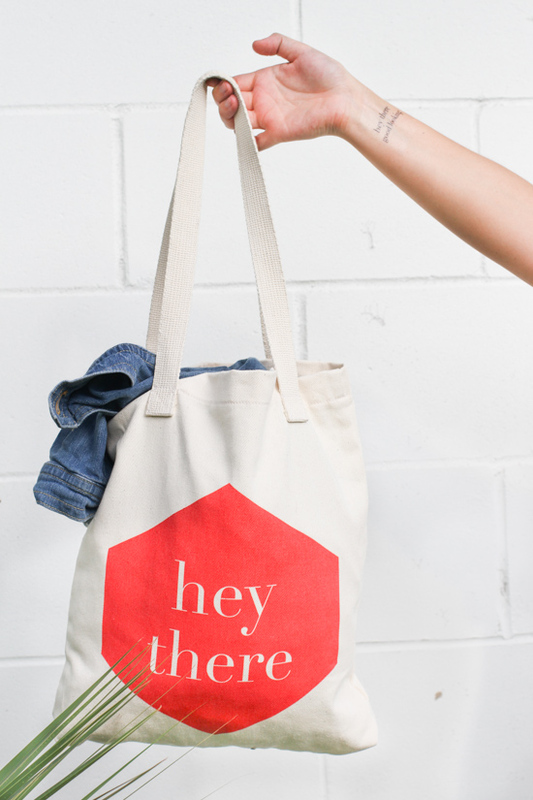 Those totes are AMAZING! As are these photos with the bike! Nailed it. Thanks Kel. Hope you have a great weekend.